Chale Paradise Island is a small romantic island situated about 600 meters from the mainland and 10 km south of Diani Beach, 50 km south of Mombasa. 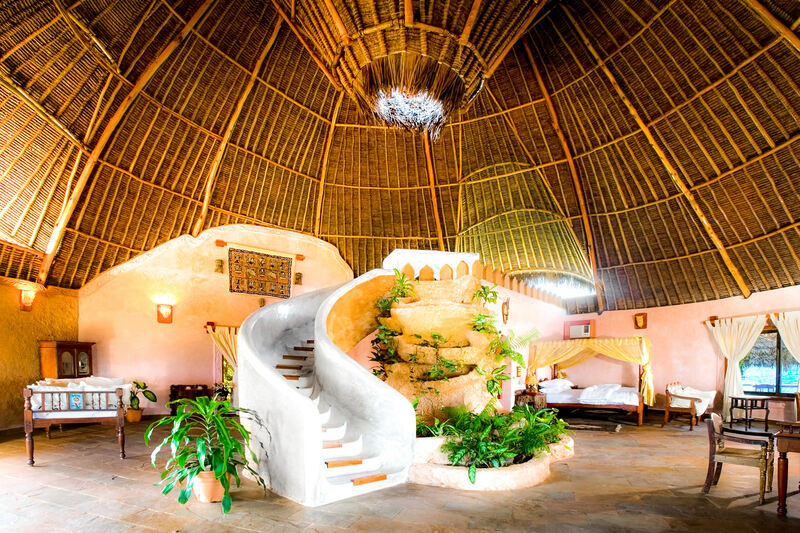 Specifically built with the environment in mind, The Sands at Chale Island is one of the most low impact hotels in Kenya. It is spread out to offer the utmost in privacy and romance, even when at full capacity one has a tremendous feeling of peace and tranquillity. “Chale” refers to the name of an old warrior of the Digo tribe who is buried on the island. On certain days of the year his descendants still come to celebrate religious rituals. The restaurant offers blend of traditional Kenyan cuisine with a healthy twist of Italian panache and a hint of the Orient to ensure that each meal is an event to be looked forwards to and enjoyed. With a selection of bars and restaurants to choose from coupled with an extensive international beverage menu with a local taste of the exotic, and a well stocked wine cellar will complete your dream holiday. Normal island activities available include a magical SPA, a well equipped watersports center and a selection of boat excursions. Beach snorkeling,Boat snorkeling,Glass bottom boat,Kayaking,Game fishing (half and full day), Local Catamaran sailing. Chale Island has an explosion of colorful flora and fauna that’s truly magical and if that is not enough, also features a mystical inland tidal mangrove lake.Due to the lack of seaweed pile-ups, turtles frequently lay eggs in the bay adding to the charm of this magical Island. Chale Island’s coral sand bay counts as one of the best beach that Kenya has to offer.